Bubbles Large Crystal Plate, 34cm,24% lead crystal. 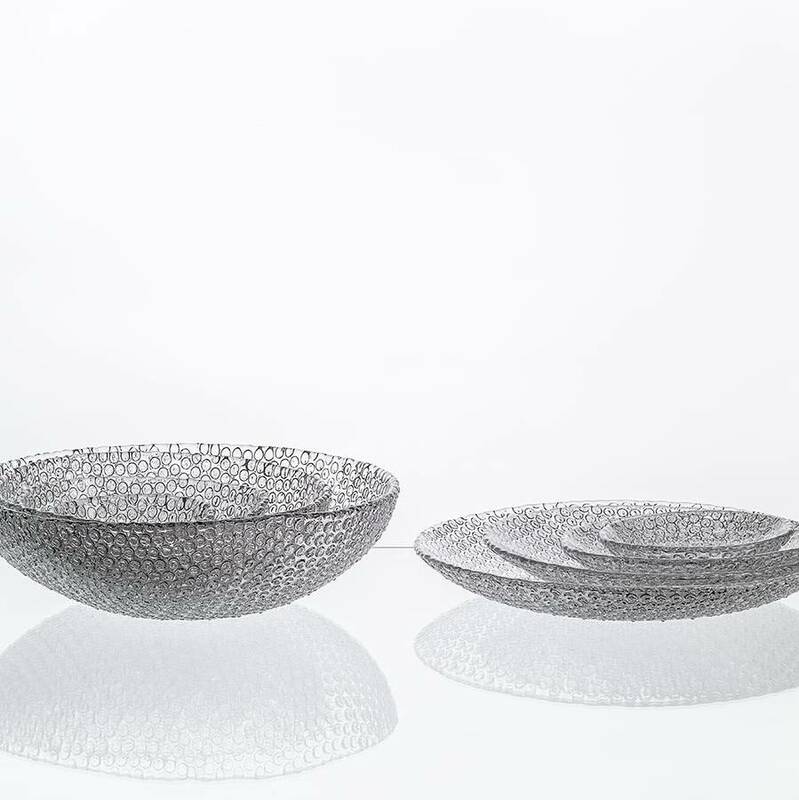 BUBBLES® shows the playful approach of its author, inspired by packaging foil. 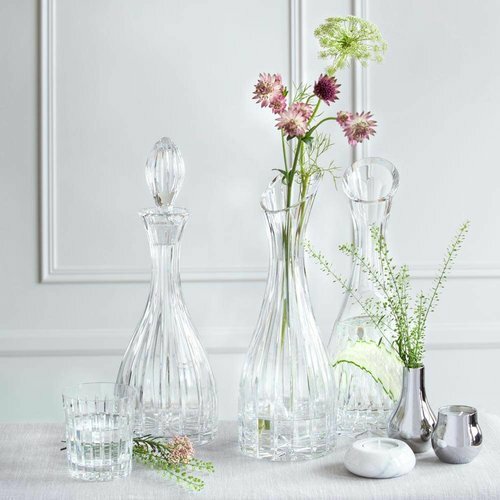 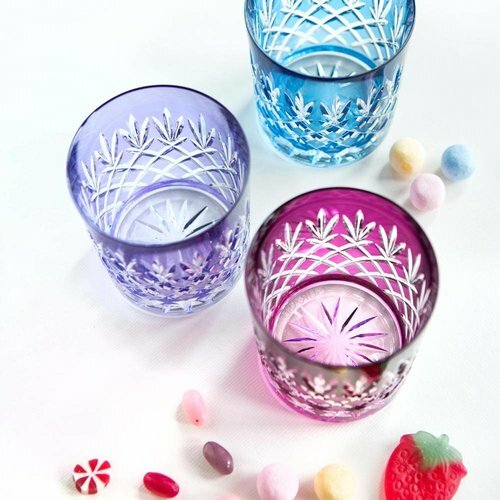 New glass-moulding technologies were developed by the Bomma engineers to manufacture this fun affordable product made of finest quality, 24% lead crystal. 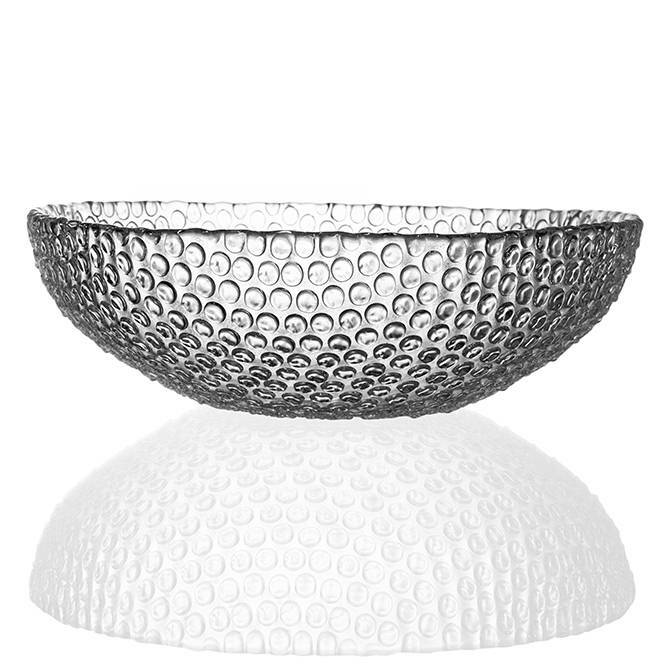 Bubbles small bowl, pair, 14cm, inspired by packaging foil. 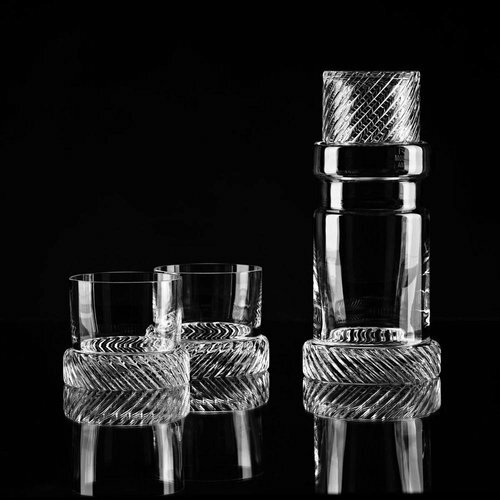 New glass-moulding technologies were developed by the Bomma engineers to manufacture this fun affordable product. 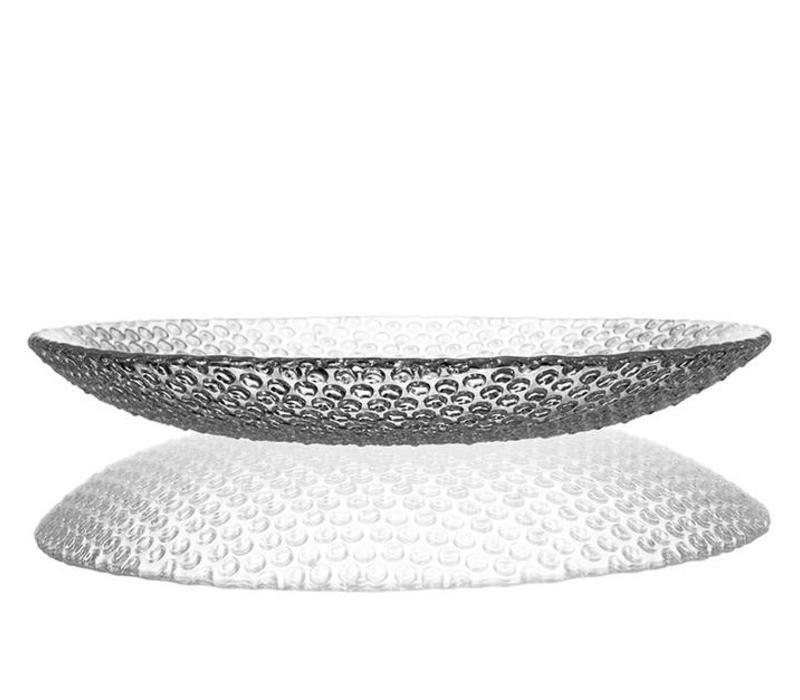 Made of the finest, 24% lead crystal. 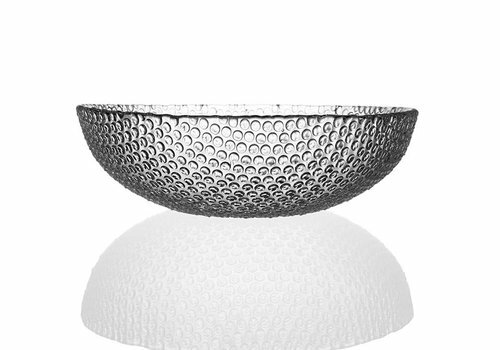 Bubbles medium bowl, 20cm, inspired by packaging foil. 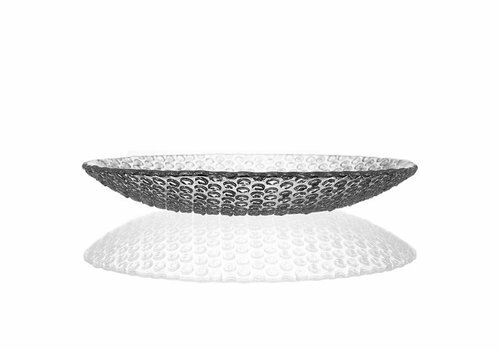 New glass-moulding technologies were developed by the Bomma engineers to manufacture this fun affordable product. 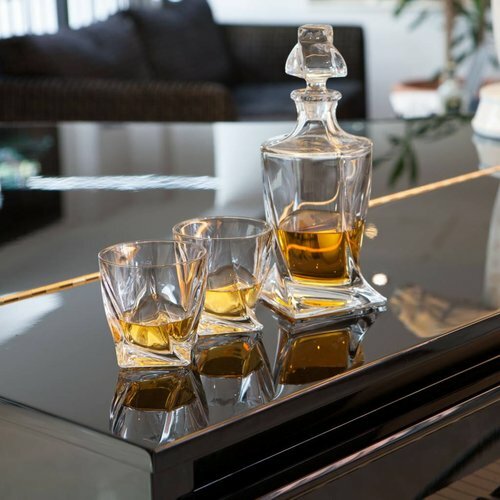 Made of the finest, 24% lead crystal. 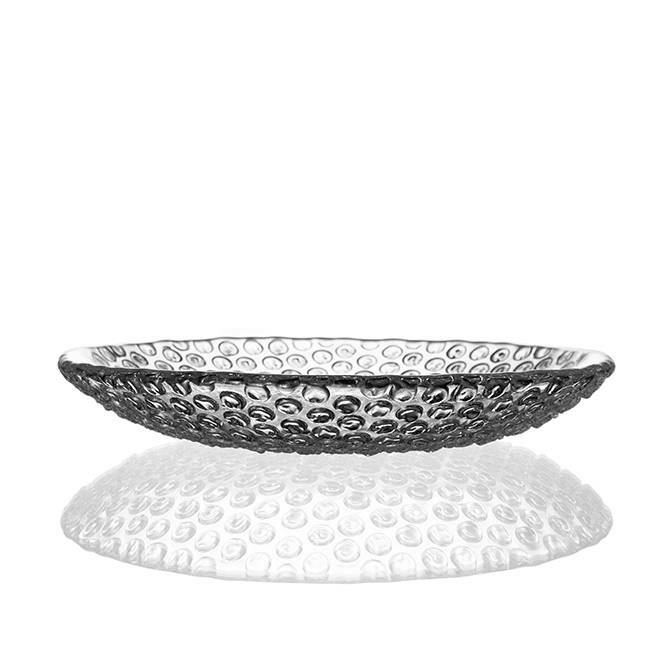 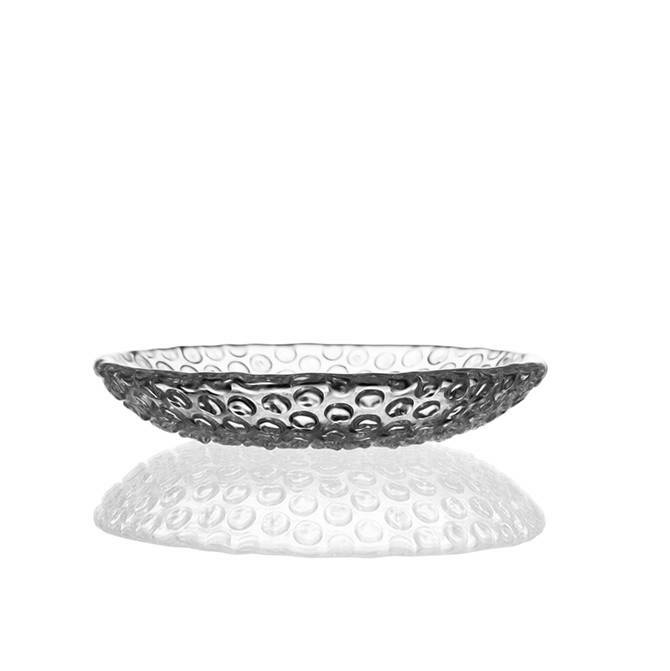 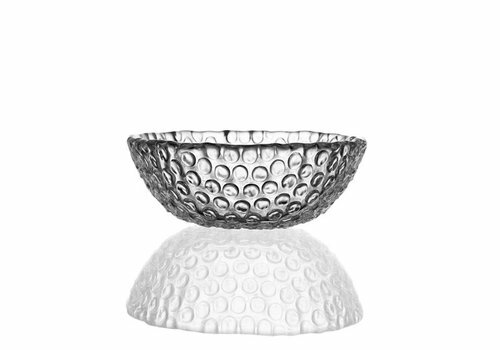 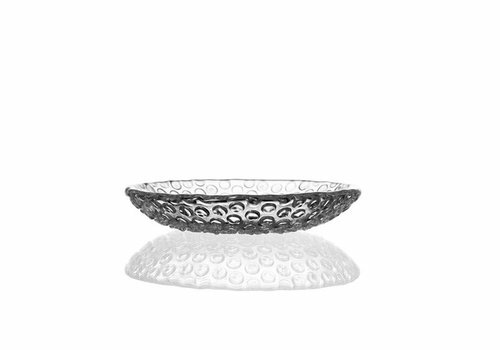 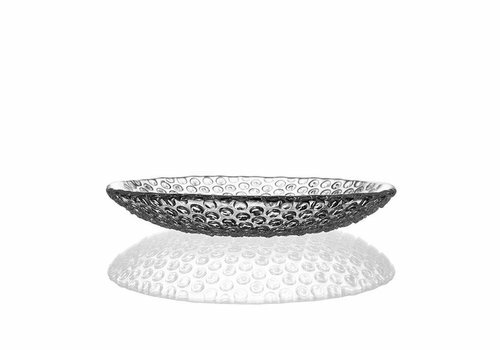 Bubbles Medium Crystal Bowl, 27cm made of genuine 24% lead crystal is a luxutious and designer crystal bowl inspired by the wrapping foil. 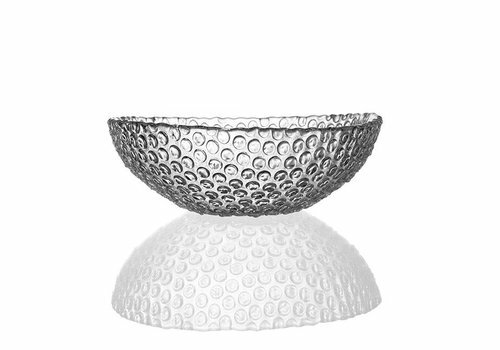 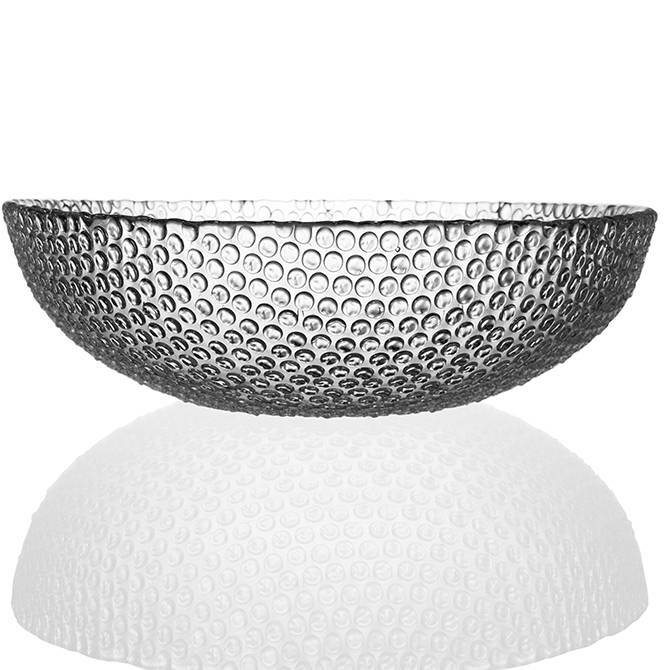 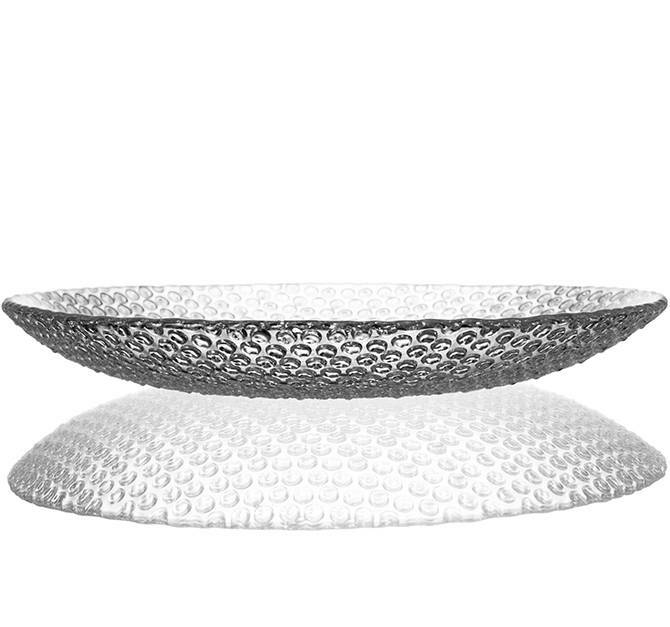 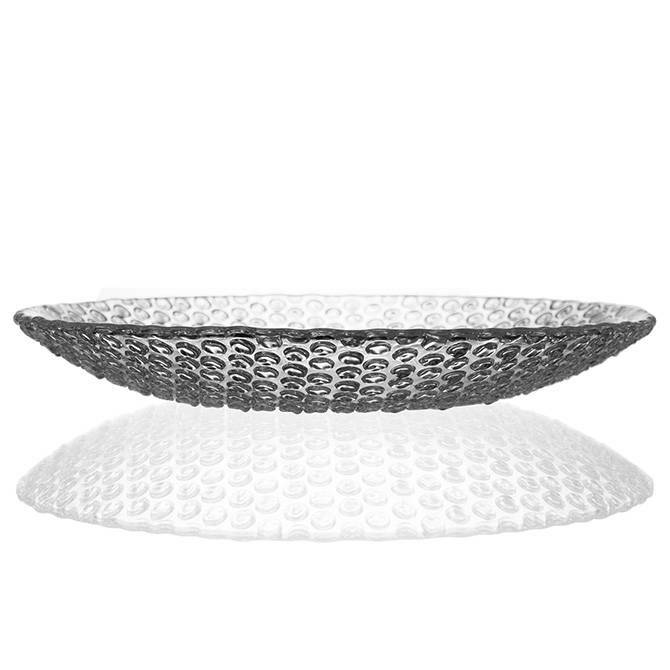 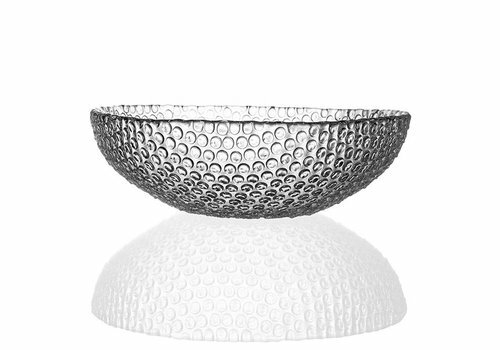 Bubbles Large Crystal Bowl, 34cm inspired by packaging foil by Bomma engineers. 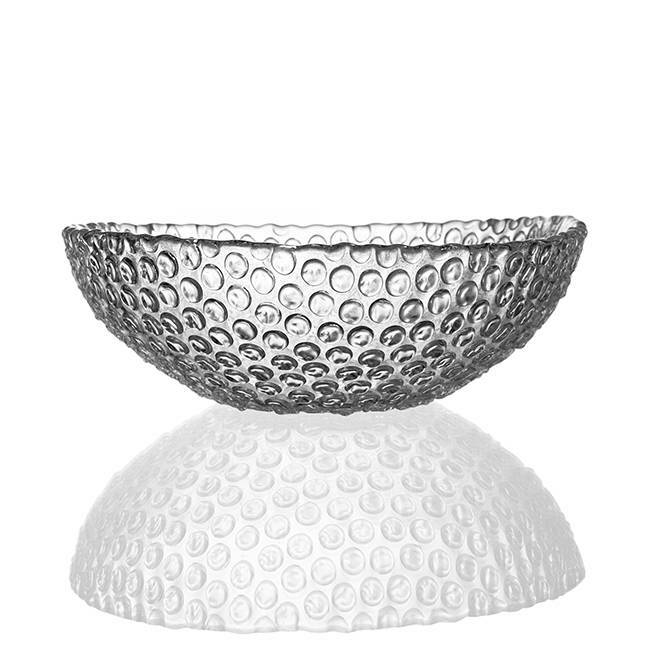 Fun and affordable product made of the finest quality, 24% lead crystal. 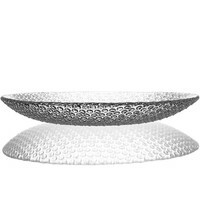 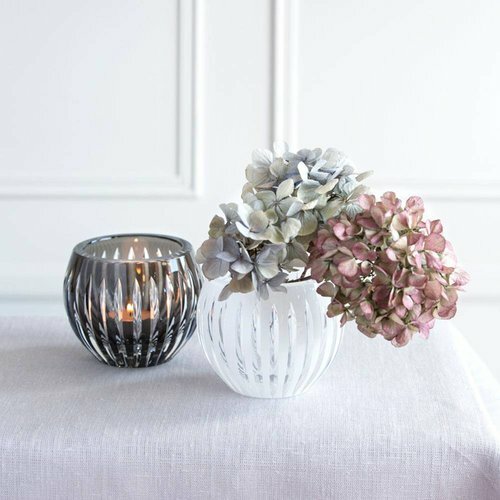 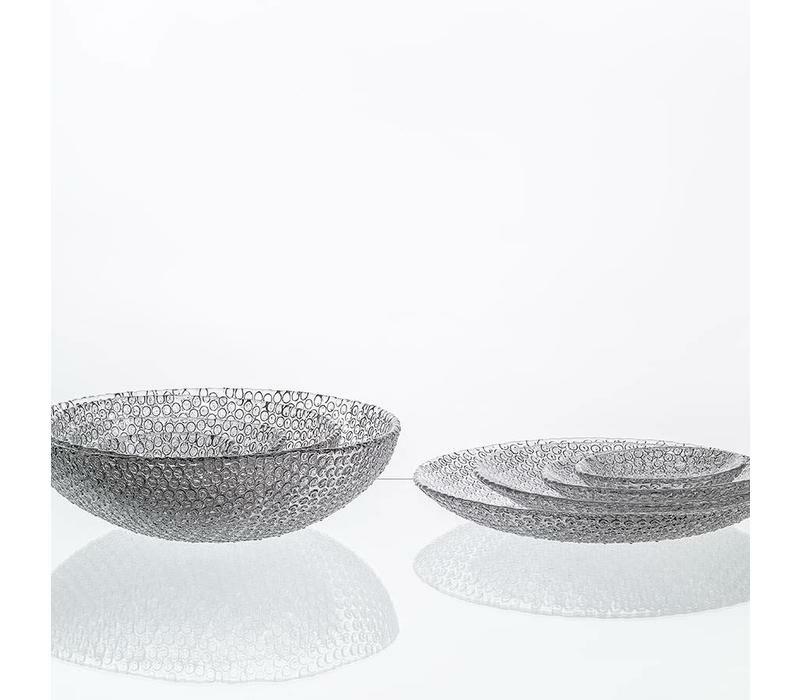 Bubble Crystal small plate,15.5cm, pair ,inspired by packaging foil. 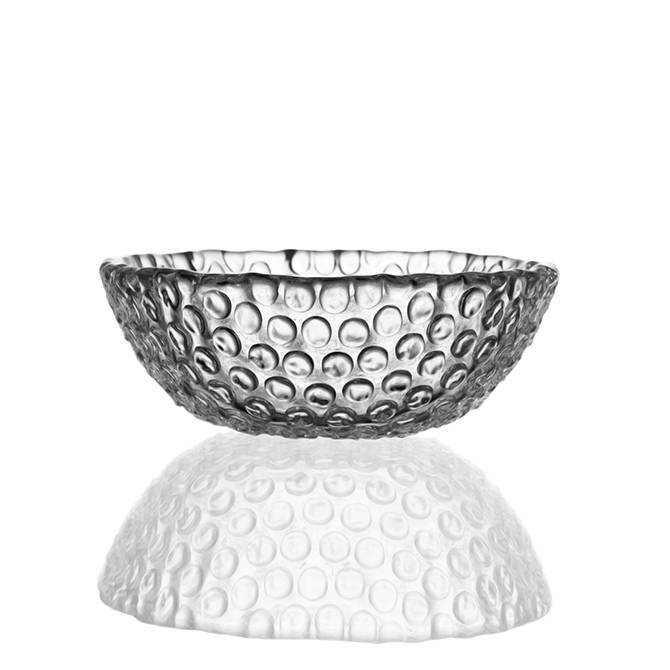 made of genuine 24% lead crystal. 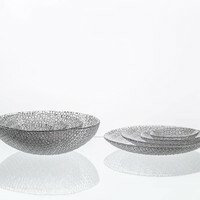 Bubbles Medium Crystal Plate, 21.5cm inspired by packaging foil.